The San Francisco Deltas opened up their inaugural campaign at the historic Kezar Stadium against Indy Eleven on Saturday, March 25. The Deltas earned their first point in team history with a 1-1 draw. It was Canadian international Kyle Bekker, who etched his name in the history books with the club’s first goal. And, in some ways, it was according to plan. 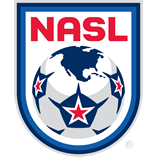 “It was something we were working on all week,” Bekker told NASL.com. “We knew the way they played that if we can, on the counter, go from one side to the other quickly we’d have some space. San Francisco was unable to hold onto the lead gained in the 31st minute when Tanner Thompson headed home for his first professional goal. While the club didn’t secure all three points, plenty of positives abound from the first official 90 minutes. The club can also take plenty of positives away from going toe to toe with last year’s runner-up. “Those guys were the runner-up last year so it was massive for us,” Bekker said. Bekker has been aided in his time in San Francisco by familiar faces from his time with Canada’s national team like Nana Attakora and Karl Ouimette, while Dos Santos hails from Montreal. The city of San Francisco itself has also been a welcoming place for Bekker and his Deltas teammates. 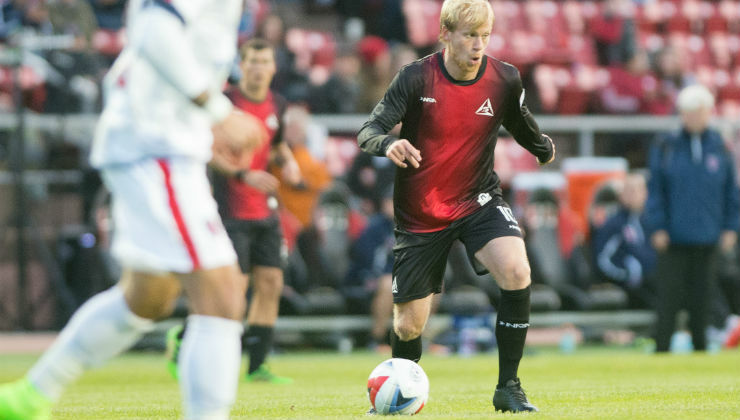 Bekker and the Deltas return to the field at Kezar Stadium on Saturday, April 8, against North Carolina FC.